Fantastic 5, 110 sq. ft. parcel on an excellent lane! Home is 2+1 1, 034 sq. ft. just painted inside and out! 2 car garage with parking for 5-6 more cars. Mid-lane property 44 x 103 lot dimensions. This is a little different than the typical Pierpont Beach cottage. Dining room, fireplace, large kitchen, tons of parking, close to beach and HUGE parcel! This is an excellent opportunity to have a quality beach home getaway or build a large new beach home! With a property like this you can't gowrong - nothing else compares! 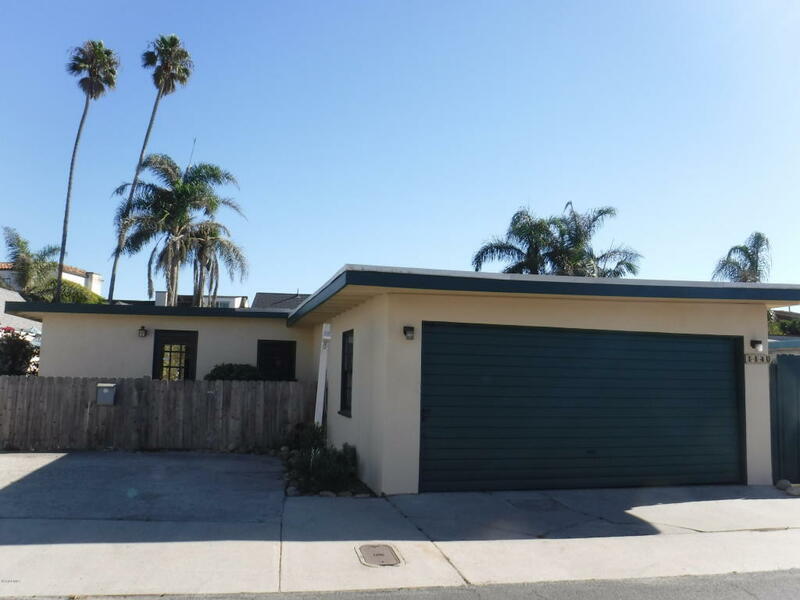 Conveniently located near the beach, 2 parks, Ventura's famous bike path leading to the pier, the promenade, lovely downtown Ventura with easy access to shopping and the freeway THIS PROPERTY HAS IT ALL! Call me for a private showing!